Skylights are the best way to add natural Arizona light to your home. Sierra Remodeling will complete your VELUX Skylight installation with expert craftsmanship. We have been installing Velux Skylights since 1979. What sets us apart is the service and attention you will receive from your first appointment to your final walk through. All Velux Skylights come with a 10-year no-leak guarantee from VELUX®. 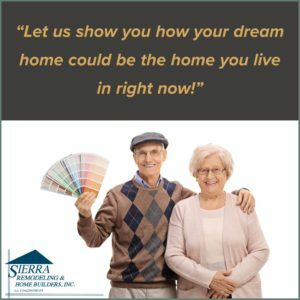 Sierra Remodeling has the necessary experience and skills for a successful skylight installation which is really a complex and high precision project. Additionally, we provide you peace of mind with our 5-year workmanship warranty. Sierra Remodeling offers a wide variety of modern, technologically advanced skylights to choose from, but luckily we’re here to help you pick the option that work bests for you and your family. Call us at (520) 459-3164 and, visit our showroom floor. We are located at 1840 S. Highway 92 in Sierra Vista, Arizona! Call us at (520) 459-3164 and, visit our showroom floor for assistance with installing skylights in your home. We are located at 1840 S. Highway 92 in Sierra Vista, Arizona!